What is Microsoft Azure? Find out the basics of Microsoft's cloud platform. Azure is Microsoft’s on-demand cloud platform. Similar to Amazon AWS, Azure can be an extremely attractive service for any size of business. The old school of thought when it came to IT infrastructure was to have a dedicated server that would house your business applications and services. This was either located onsite in your office or a local data centre. The problem with this approach is your business become reliant on the physical server hardware and local internet connection. If there’s a problem then it can impact your business. The other issue with this approach is the sometimes hidden costs of maintenance and security. Upkeep of server hardware & licensing will cost a business in time either by your internal IT team or an outsourced IT provider to keep things running smoothly. Security and business continuity is another aspect to take into consideration with onsite hardware. How secure is your server? Does the Office cleaner have access? In regards to business continuity – what happens if there’s a fire in your building? You may have a backup of all your data but how long will that data take to be restored to another replacement server in the event of some for of disaster. Microsoft Azure remove all the above problems from the equation. Your server infrastructure and applications can be spun up in a Microsoft data centre instantaneously. 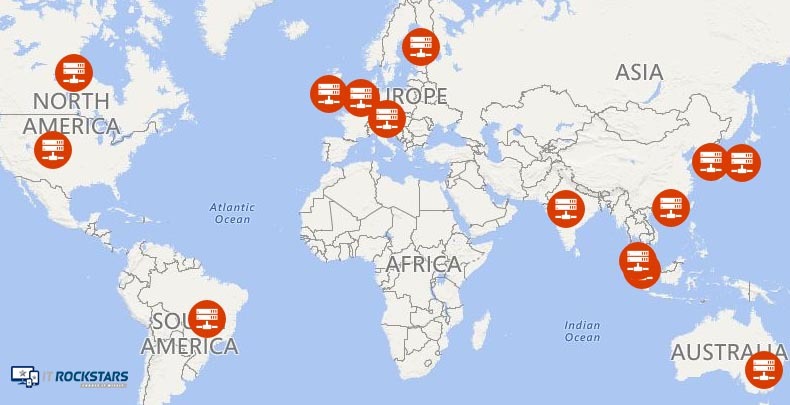 These data centres are replicated through multiple locations over the globe and due to the vast size of Microsoft’s infrastructure it’s a fraction of the cost of an onsite server and maintenance. We help businesses migrate services, applications and business processes to the Azure platform. If you are thinking of moving to Microsoft Azure or would like to find out more contact us. Click the map for an interactive version.